January 29, 2016 By Aileen 2 Comments This post contains affiliate links. As an Amazon Associate and member of other affiliate programs, I earn from qualifying purchases. When I saw that Kiwi Crate was having a sale – I knew it was our time to try one of these fun boxes and give you a Koala Crate Review! 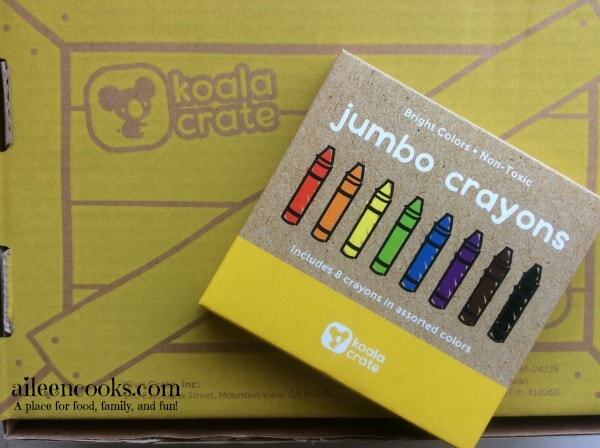 They offer several different boxes: Koala Crate, Kiwi Crate, Doodle Crate, and Tinker Crate. 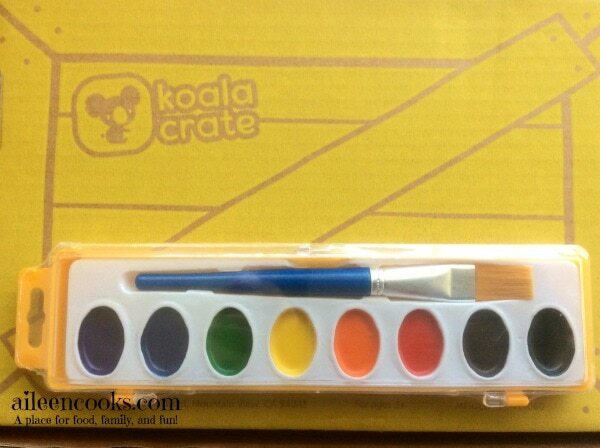 I chose Koala Crate as it is specifically geared toward 3-5 year olds and my son is 3.5. Kiwi Crate is for kids aged 5-8, Doodle and Tinker Crates are for kids aged 9-16+. They are also getting ready to release an all new crate: Cricket Crate, for 0-2 year olds. I ordered the Koala Crate, and it arrived on our doorstep within just a few days. For some reason, I thought it was going to take weeks, so this was a really nice surprise. It had my son’s name on it, which was fun for him. What kid doesn’t like to get mail? The first thing we did was decorate the banner. We started by coloring the banner with the jumbo crayons. Then, we dug into the watercolors. 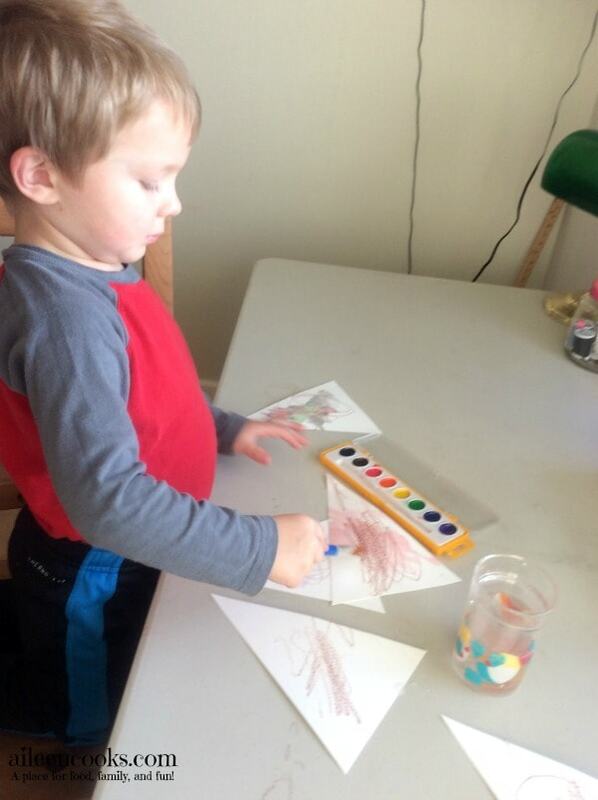 This was William’s first experience with water colors and he really enjoyed it! It was also really fun to hang it in his room. 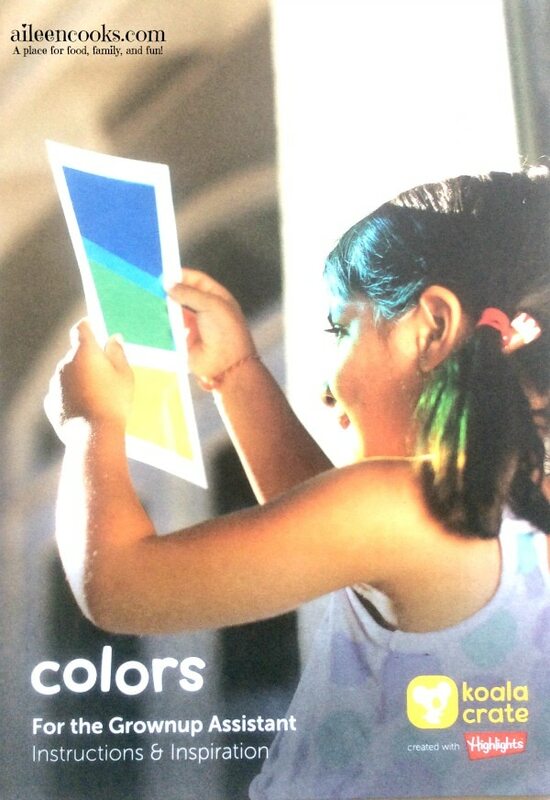 Next, we moved on to the color cube and color sheets. As suggested in the color guide, we had a scavenger hunt. 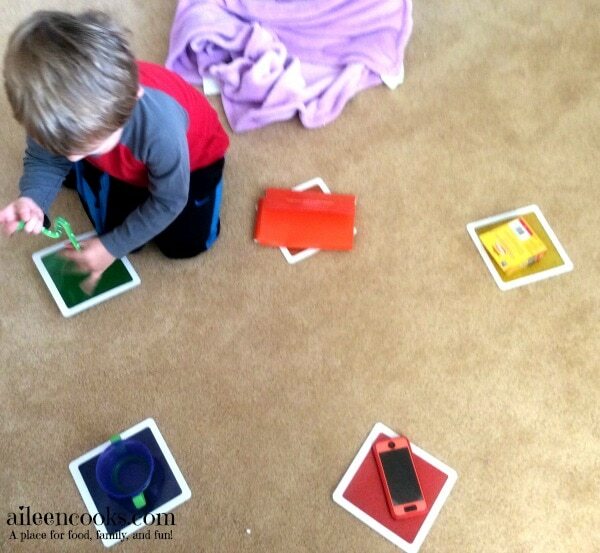 We laid out all of the color sheets on the floor. 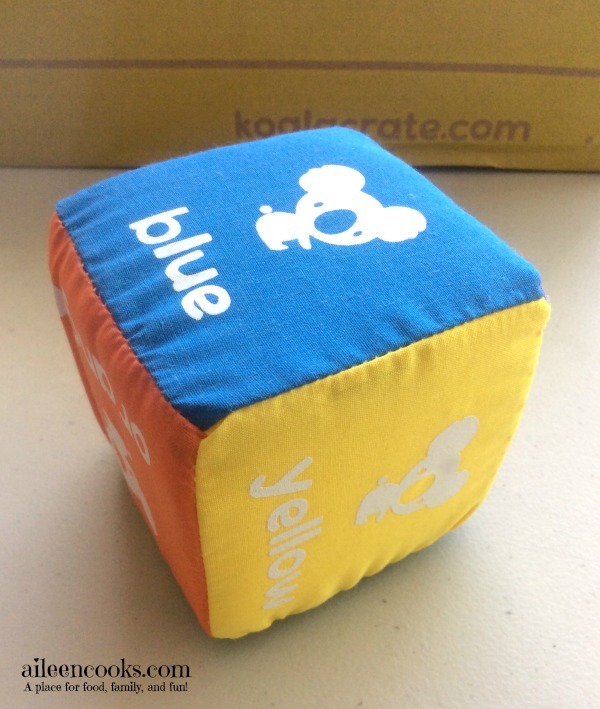 William rolled the color cube (it has a bell inside!) and set out to find an object that matched the top of the color cube and placed it on top of the corresponding color sheets. We had so much fun with this game! We spent about 10 minutes playing it the first time, and I found William playing it by himself later the same day and a few times later that week. He even divided his cars up by color and arranged them on each color cube. A few days later, we moved on to the coloring pad. My 1.5 year old, Katie wanted in on the action. Both kids were really into the jumbo crayons. It was nice for them to have an independent activity that I didn’t have to closely monitor. I set them up with the crayons and coloring sheets and they went back to it over the course of about three days. I was surprised by how much they loved this one since it’s so simple. 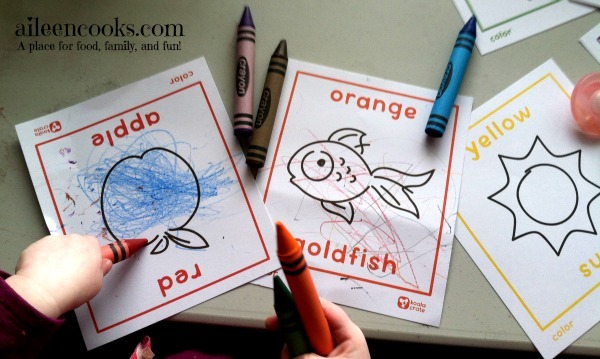 They really liked coloring together and the simple pictures on each sheet. 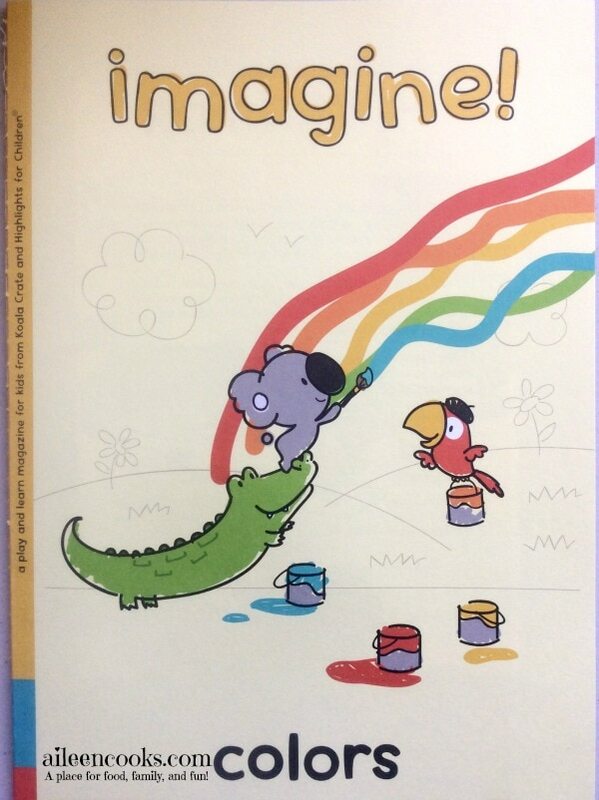 We’re still working through the activity book. There are so many fun activities in there that it really lasts longer than a few days, which is really nice. I was really happy with our Koala Crate. It pushed me to do fun activities with my kids and I loved that everything was put together and delivered straight to our door. It made it so easy! If you want to do more creative projects with your kids, but don’t know where to start, or feel overwhelmed by all of the crazy perfect Pinterest projects out there – then Koala Crate is for you. 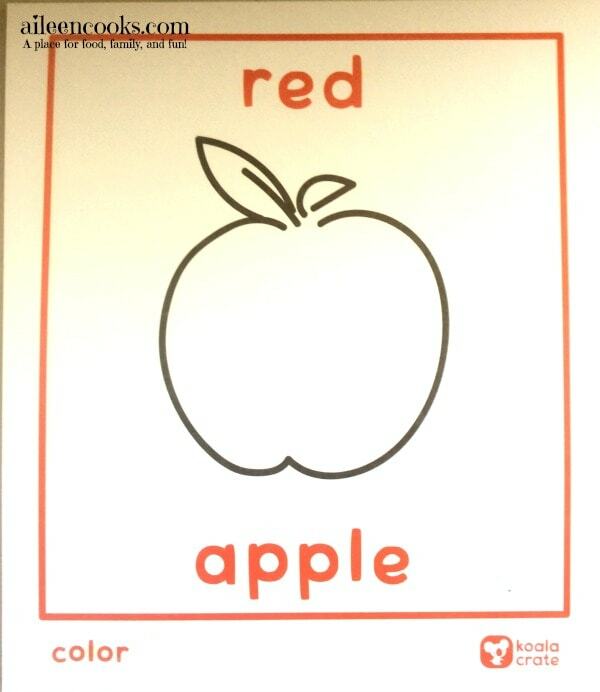 What’s great about this box is that it involved physical activities – a must for preschool aged children. They need to move and the makers of Koala Crate get it. 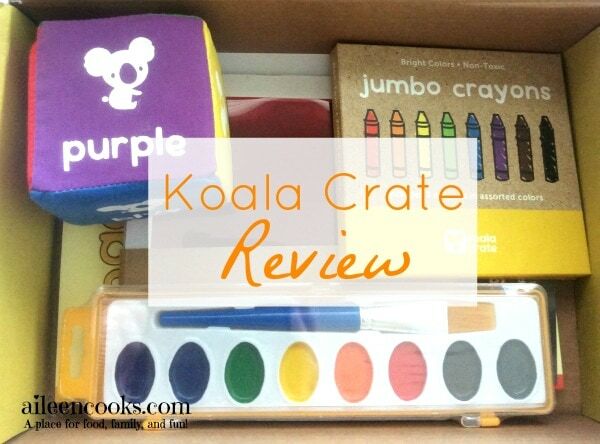 What did you think of my Koala Crate Review? 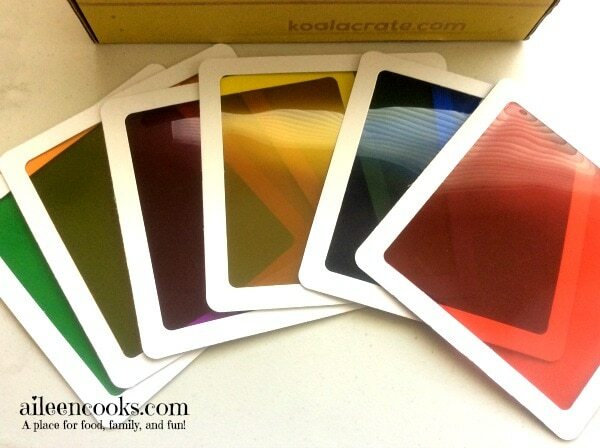 Have you tried Koala Crate? Aileen, this is an excellent review of this product. 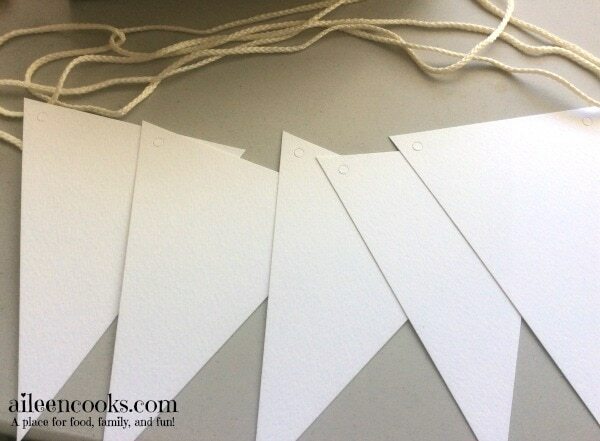 I really enjoyed your personal introduction to your children and how they enjoyed each facet. Further more this product is eveb better than just the origibal highlights Magazine due to all of the additional activities.